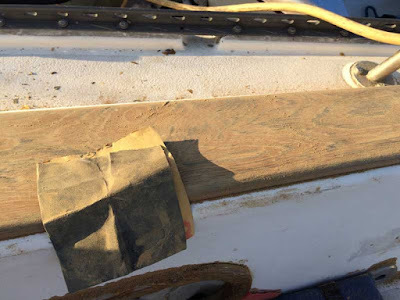 Captain Curran's sailing blog: To varnish or not to varnish? Short answer...don't varnish. To varnish or not to varnish? Short answer...don't varnish. How is the wood looking on the outside of your boat?? Time for a touch up? Yeah, I know how that goes...I just went through this process on my Newport 30. I had friends trying to convince me to varnish my wood trim - but I resisted. 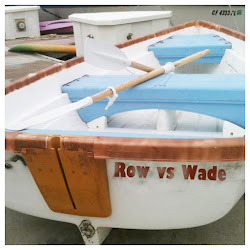 In fact, there comes a time in every boaters life when they need to decide between cetol or varnish. I have put a lot of thought into this question...and I have an answer. 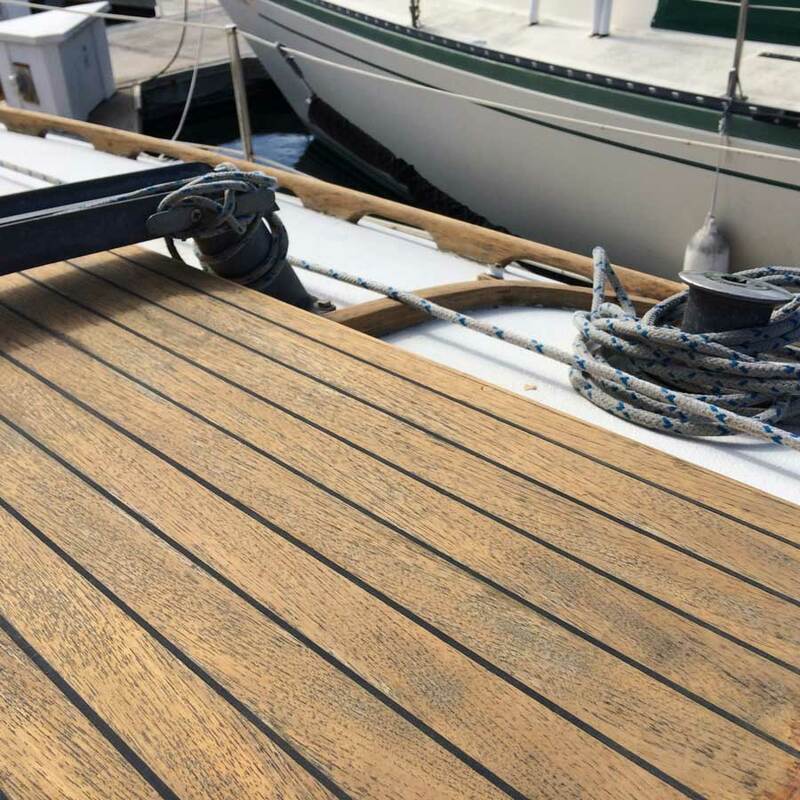 I use a cetol finish on my external wood because I want to spend my time out sailing in the open ocean as opposed to in harbor re-applying varnish. This past week, I sanded down all my teak trim, cleaned it up and then applied 4 coats of sikkens cetol marine natural teak. It looks perfectly fine. Below I will review the process of applying cetol. The photo above I took 2-3 days after the final coat, so the cetol is more or less cured. I cleaned up the deck and sprayed it down with water before this photo. This photo above was just after the last coat of cetol. It is still tacky and wet looking. Now, keep in mind, I am not a perfectionist. But, to my eye, this looks almost as nice as varnish. Cetol is a durable satin, translucent protective wood finish (that's their wording). Historically, the major complaint with cetol is that - it has a slight orange hue. 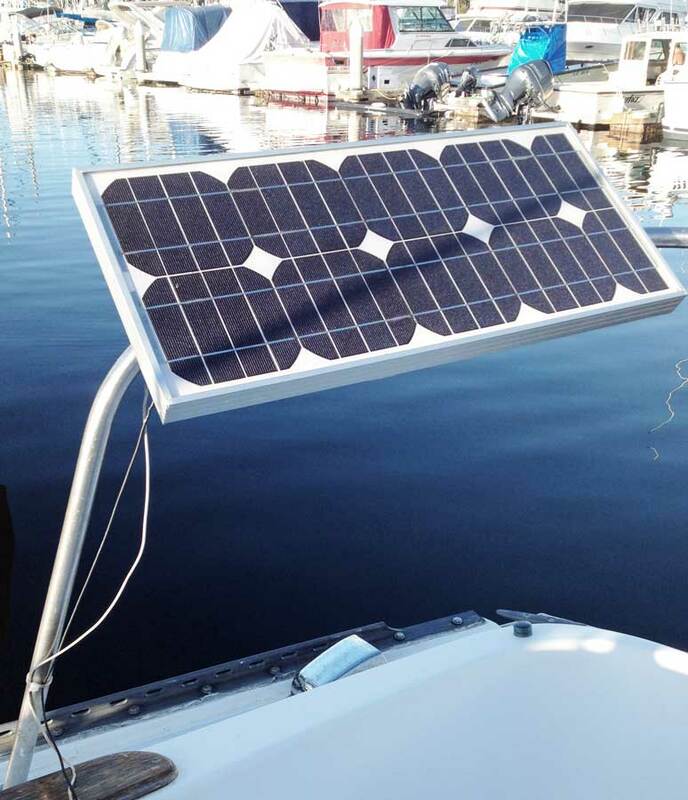 That is certainly the case with Cetol Marine, their first product. Apparently, it's the orange pigments in the finish that allow the Cetol to defend against the UV rays in the sun. 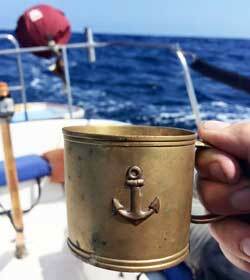 In response to outrage from boaters - the Cetol folks made a new product, the 'marine natural teak'. They turned down the orange in the 'marine natural teak'. Somehow, with the natural teak version, they've managed to maintain good sun protection without the orange color. To my eye, the color in the 'natural teak' version is perfectly normal for treated wood. If the color of my wood in these 'after' photos makes your stomach turn, then go buy yourself some real varnish and get to work! If you don't mind the color, then go get yourself some cetol. 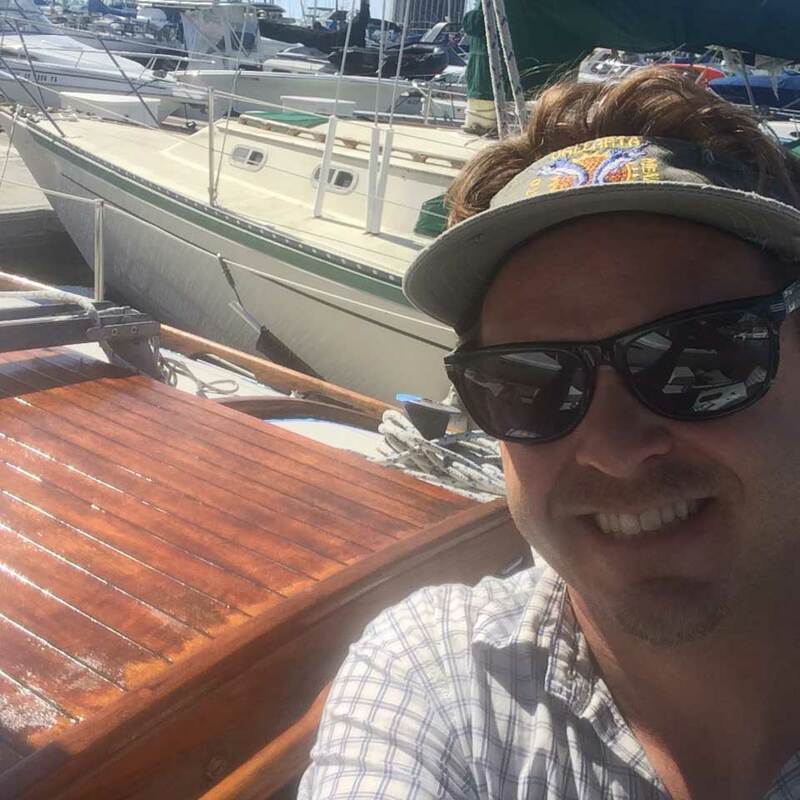 I use about 2 quarts on my boat. That amount allows me to put 4 layers on all the wood trim you see in these photos. However, you can usually find the same quart of cetol on Amazon for a better price. 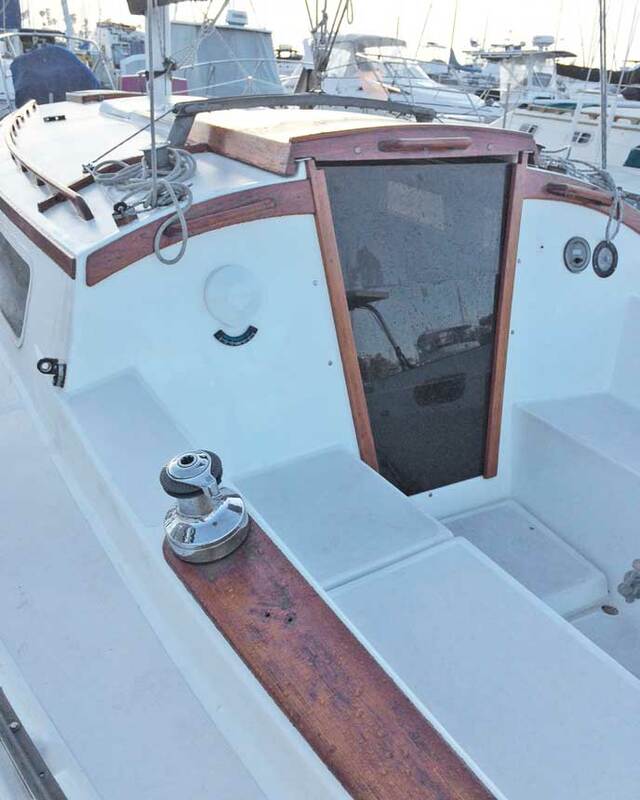 In this photo, the hatch and cockpit teak are finished (4 coats), but the hand rails are still raw teak. Okay, if you're interested - I will walk you though my recent teak project - step by step. 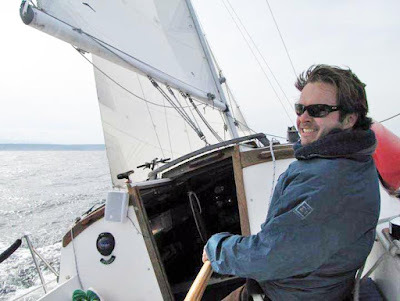 Here I am - doing what I do - out sailing. If you look close, you can see that the external teak trim on my Newport 30 sailboat is looking a little ragged. I will be generous and say, its been about 4 years since I have done much of anything with my teak. 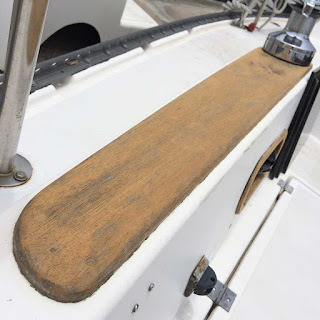 Let's just say, my teak had degraded to the point where my marina friends regularly gave me a hard time over it. That's usually my cue to get to work. 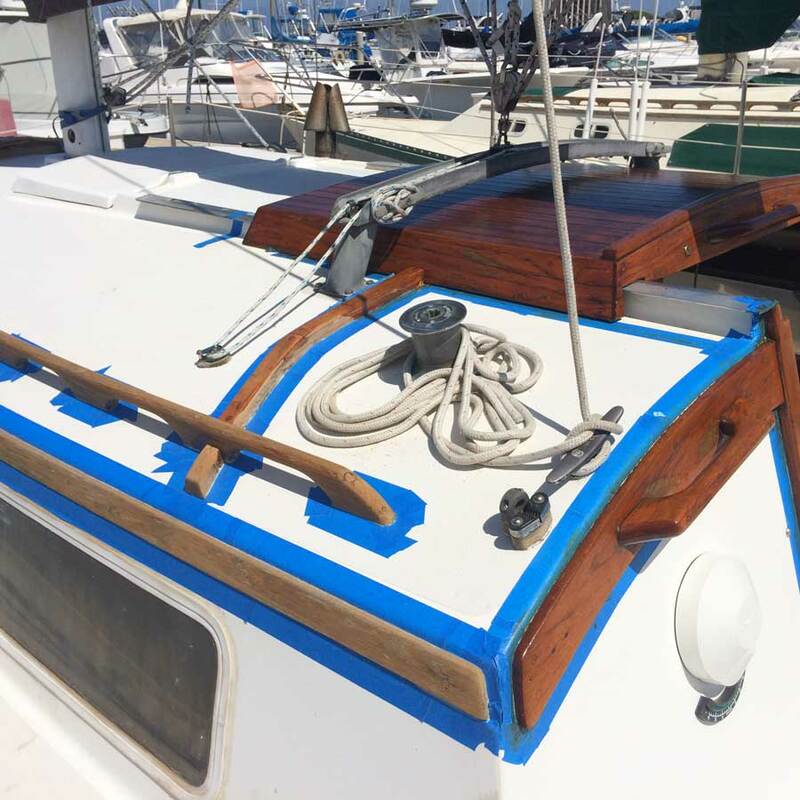 Since the time I bought my boat, I have never sanded the teak all the way down to clean wood. In the past, I've just lightly sanded and then loaded up on Cetol. So, my wood has always looked patchy and there's been dark water stains throughout. So, this time I decided to do it right. I should mention that the peeling finish in the photo above is the cetol natural teak finish that I applied about 4 years ago. So, you can see it is already separating from the wood, this made the sanding a bit easier. I used an electric hand sander where I could - and then just sanded manually with bare hands in the hard to reach spots. I recommend only using high quality 80 grit paper. Anything else just binds up with oils and dust and becomes useless. Don't skimp on the sandpaper, get the good stuff. 3M makes good sandpaper. This was a very dirty week. I recommend really trying to keep the wood dust from entering the inside of your boat. Really focus on that... It's a mess once its inside. I spent 3-4 days sanding down my wood. My girlfriend, bless her heart, came down to help out. This piece of teak in the cockpit was finally starting to look nice. Apparently, my teak has a light golden color once it's properly sanded down. After removing stains with 80 grit, I moved on to 150 grit, to smooth things out and close up the pores. I have never seen my forward hatch look this nice. I had to take this photo, because I know this won't last. Alright, so I removed the dust and prepped the wood for finish. For this, I used a couple rags and acetone. I first tried paint thinner (since it is less harsh on the fiberglass), however the thinner takes too long to dry. Acetone vaporizes in 10 minutes, so I went with that. I taped off with the blue 3M tape. 3M says you can leave this tape on for 14 days and still pull it off clean. I wouldn't wait that long. After 1 week, it is anyone's bet. I left this tape on for 3-4 days in the hot sun, and it still came off easy. Here, I have applied 2 coat of cetol marine natural teak on the teak panel on the right. The trim on the left still remains raw. Here's a link to this stuff on Amazon. At this point in the week, Jessica became bored with the project. 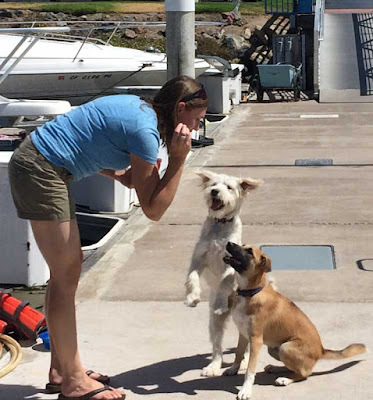 Here she is at the marina, playing with the dogs. You can see that Glacier (the white one) can barely contain her excitement over getting a treat. They were having much more fun that I was. Okay - many days later, I am done with the project. I have now applied 4 coats of cetol on all the wood. If the sun is shining, you can easily do 2 coats in 1 day. I wait till the bottom layer is no longer tacky, then start the second coat. I should mention that I used foam brushes for this project. Personally, I think they are easier to handle/control than hair brushes. So, I think it looks great. 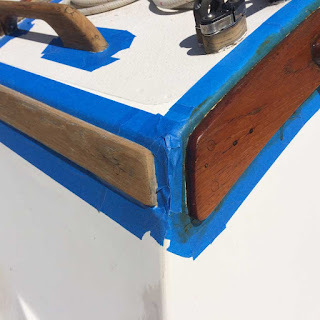 I have had at least one professional boat-yard guy stop by and compliment me on my varnish. He was impressed to hear it was actually cetol, because he is well aware how much more work is required to actually apply varnish. Here's a few more finished teak photos. 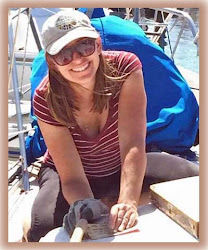 I will load a few more photos up tomorrow, now that the whole boat is done and cleaned up. 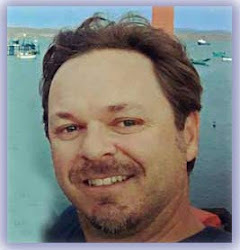 It should be noted that I owe much of my familiarity with boat maintenance to Don Casey's classic book, This Old Boat . 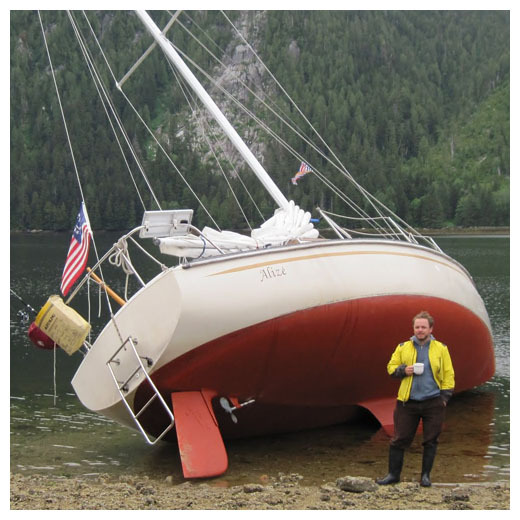 This is a broadly respected, definitive text that has brought many novice boaters into the world of proper boat care. 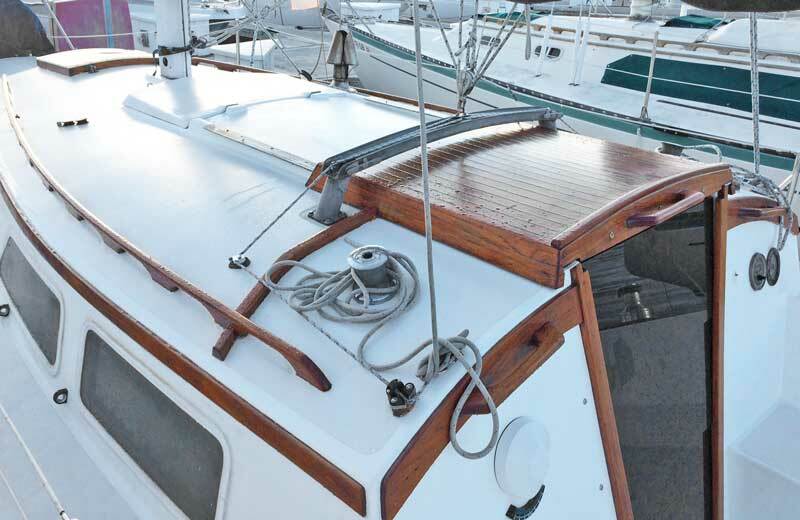 There's a nice section on wood work and teak maintenance. 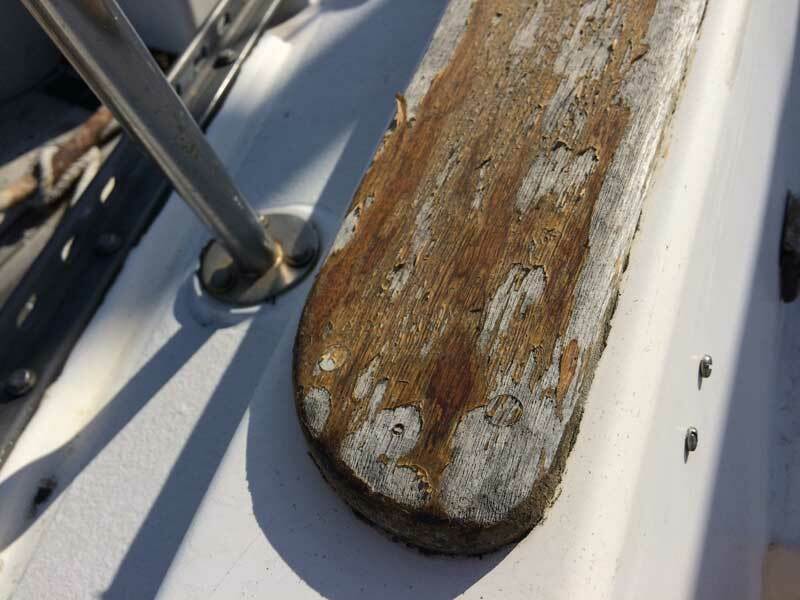 Also, if you are emphatic about putting varnish on your boat, this article provides some good insight. Thanks for your advice here! I'm wondering how Cetol works with mahogany - which is primarily what I have. Cetol works fine on Mahogany, its not specific to teak. What a great result! Personally, I don't mind the slightly orange tint :/ the final result. Thanks for putting up this post, I've been trying to decide how best to give new life to my exterior woodwork and now I think I know how to proceed. Nice job, Kevin. She looks great. I use a combination of Cetol and varnish - I finish a couple areas bright with varnish & the easy-to-maintain areas, and do the rest with Cetol (hand rails, eyebrows, etc.). I find that the varnish is easy this way. 2x year refresh the surface with two coats, gentle sanding/scuffing for prep, and that takes care if it. But if you let it get away from you, then it's more labor by far. Interesting - I've never tried that - but it makes sense.. Does the transition from cetol to various varnish look okay? Good to know - I may try that in the future. 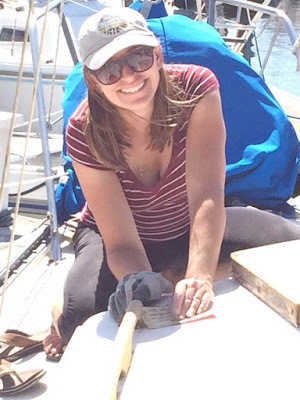 My wife's boat has a wood mast. We first used Schooner which had the expected result of normal varnishing. Since pulling the mast often is a pain, the next go around we used Awlspar (multi coat a day, fast build up! A dream to apply!!). We applied 14 coats with no sanding between coats, as long as we did not go longer than 24 hrs between coats. Then we sand smooth. Lastly we put on 3 coats of Cetol clear gloss and it's done great. Now 3 years later, we'll sand and top off with another Cetol clear coat. I have heard that Cetol makes for a nice final finish. Yeah, the trick it to keep up with it - then you're never sanding down to the base. When you look at Cetol and varnish side by side, vanish is shinier. That is the only drawback. I don't see Bahamian varnish crews using it on Trumpy's and Newport jewels. But if I look at Cetol alone, it looks great. I use Starbrite Teak Sealer on my Teak Patio set (huge 12 pc set). 2 coats typically lasts 12-18 months. 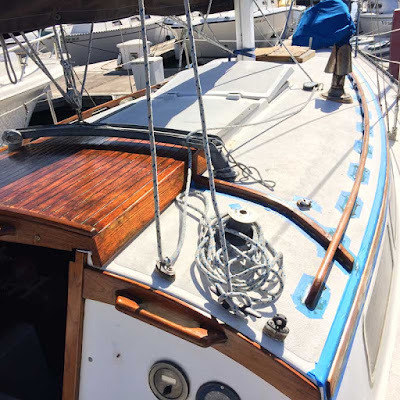 When it wears down I just scrub it clean with a bristle brush and SB Teak Cleaner (gel formula), then re-apply the sealer. This works well and I DONT have to sand/sandblast/powerwash the whole set. 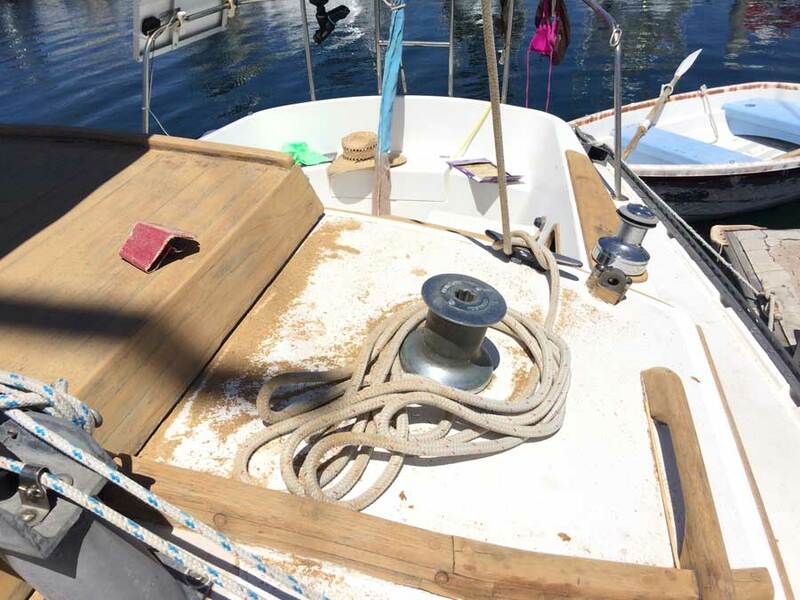 When the Sikkens wears down, do you have to sand it off or just use a brush and cleaner? Again, I'd rather scrub and re-apply sealer more frequently (12-18mo) than have to sand once every 3-4 years. Yes, you are right... it is all about upkeep. 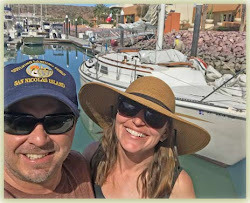 Basically, the same maintenance you are practicing on your patio furniture will serve you well on the boat. Every 12-18 months you should do a touch-up. With the cetol, you do not need to sand again, as long as you don't let it go beyond 18 months. You just clean it up with a sponge or cloth - get the dust off - maybe a light brush - and then add on another coat of cetol, or you can add on a coat of a sealer. Come to think of it...it is time for me to do exactly that! I'm not sure that's correct. I just checked out the specs on their website. They definitely include UV protecting elements in the natural teak cetol. 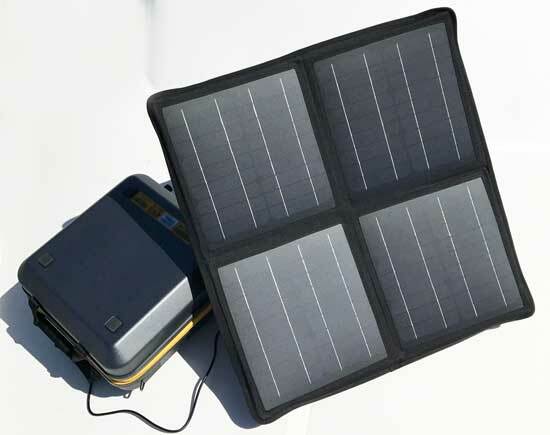 With Next Wave UV-absorbing technology, it offers incredible protection from damaging UV rays. It’s durable, translucent and creates a rich golden color finish on interior and exterior woods above the waterline. 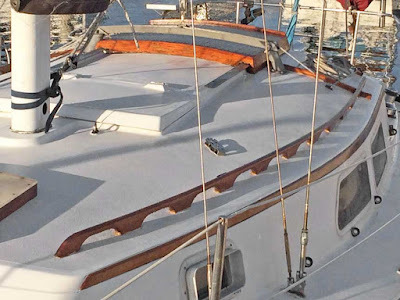 I use Cetol exclusively on the exposed timber on my converted trawler, on the Queensland Coast (15-23S is my cruising range). At these latitudes, varnish is strictly for masochists. My exterior Cetol is pretty ordinary after 3 years, (yair, I'm lazy, but I have cruised 1600nM in that time), but the interior stuff just needs a rub with 240 and a couple of new coats. All feature timber is PNG Kwila or Teak. A question- I have heard of a hardener for Cetol. All my tables and benchtops are Cetolled and it has very poor resistance to Overproof Bourbon and Gin, the two chemicals most likely to be spilt at my tables. Anyone who "knows" about the hardener won't share their info. Just wondering if you have heard anything. I feel your pain. Bourbon and gin are no strangers to my cabin either....Yes, it is true, a cetol final coat would benefit from a good hardener. That would probably extend the time between the next cetol treatment also... Alas, I have no recommendations on a good product. I am not being coy either, I would share this if I knew... I don't use the cetol down below, so it's never been an issue. If any other readers have a suggestion for Greg, please share.